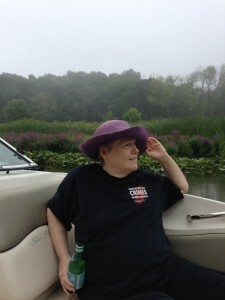 We created this page to share memories and thoughts and to connect with each other as we honor Patti and celebrate her life. We invite you to share in the comments at the bottom of this page. We had the great gift of working with Patti since 2012, when she joined NCDVTMH as the Director of Substance Abuse Training and Technical Assistance. The impact of her over 20 years of work at the intersection of substance abuse, sexual assault and domestic violence changed our fields and will continue to ripple out in ways that move us all forward for many years to come. Patti changed so many lives with her presence, clarity, humility, persistence, grace, humor, and brilliance. Patti’s unwavering commitment to justice and to ensuring that services are available and welcoming for people experiencing domestic violence, sexual assault, and substance abuse has forever changed our lives and our work. Patti welcomed all of us as we are. She could make a whole room laugh. She mentored us and encouraged our gifts, often before we could even see them. She profoundly valued each person’s experience and asked the same from us. Patti loved deeply and generously—in everyday, every moment ways, and in her advocacy and life’s work to end violence and oppression. And, Patti is deeply loved. There are no words to speak to the ways we already miss her and will continue to. Her spirit will always be with us. Patti’s family will be holding a mass for her on Saturday, December 20, 2014 at 10 a.m. in St. Patrick’s Church located at 216 N. Lowell St. in Syracuse, NY. Following the mass, there will be a gathering at Bellevue Country Club where food and drinks will be served. If you plan to attend, please notify us by Thursday afternoon so that we can let Patti’s family know. You can call Kathleen Pabian at 312-726-7020 x2010. If you would like to send flowers, you can send them to St. Patrick’s Church. We will be planning a memorial for Spring 2015, and we welcome ideas and thoughts. We will continue to post updates here, as we receive them. In partnership with those closest to Patti, we have established a Patti Bland Memorial Fund that will be used to support a cause that will be meaningful to Patti and that will carry her work and her spirit forward. To send a donation in memory of Patti, make checks out to “Hektoen Institute, Fund #4826.” You may write “Patti Bland Memorial Fund” in the memo. Please mail checks to Hektoen Institute, 2240 West Ogden Avenue, Chicago IL 60612. My heart broke upon hearing the news. Within seconds of meeting Patti I was smiling. She was as pure as they come – she was who she was and she wasn’t afraid to show it! From her smile to her laugh to her dancing, her presence was immediate, powerful, and empowering to everyone around her. She was true to her word and true to her spirit. An incredible fighter for all that is justice and I will carry her memory with me forever. One of the most genuine spirits I’ve ever known. Your knowledge, kindness, generosity, wit, infectious laughter, and loving spirit will be greatly missed. My heart is broken. Patti was a pioneer in the fields of domestic violence and substance abuse, doing so much to bring these two disciplines together. She was a dynamic, intelligent, compassionate woman and I feel blessed that I had the opportunity to know and work with her. and violence against women. I, personally, am honored to have been witness to her work. Rest in Peace, dear warrior. What a wonderfully vibrant, generous, and compassionate human being. I had just sent an email to Patti this morning sharing how her work is helping improve advocacy here in CO. So very sad to hear of her passing. Patti, you will indeed be missed. Thank you for being such a tremendous role model on bringing tenacity and humor to this work. She taught us to look at the needs of victims/survivors from the empowerment lens; she did so with grace and love. ACADV. What a wonderful woman and beautiful spirit, a spirit that willalwaysbe with us. I didn’t know Patti well but I didn’t need to know her well to realize that she was one of the most genuine, generous,and thoughtful, people I have met. Like I said to Jen yesterday, Patti was surely the kind of light that only rarely shines in this world. I can’t think of any other way to say it. May we all continue to honor her by moving her work forward. My deepest sympathy to her family and to all who knew and loved her. Thank you for all of your hard work and dedication to field of Mental Health. You truly made a different. Good Deeds is with you. 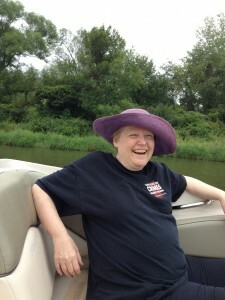 Patti was one of the most caring and generous people I have ever known. I first met Patti when I was working on my Capstone. I called her to ask for some resources. I expected an email with some references and instead I got a partner in my work and a lifelong friend . She loved life and made such a difference in so many lives – many more than she or we will ever know. Her humor, her genuine concern for others and her love of life are things she selflessly shared with others. She will be missed but she leaves with all of us the legacy of her groundbreaking work that has changed so many lives. We love you, Patti and we will miss you. My deepest sympathy to your family. I was so inspired by Patti and how she saw everyone in the entirety of their experience. I had the privilege of co-facilitating trainings with Patti on substance abuse, mental health, and accessibility for individuals impacted by gender violence. My favorite memory was when we spontaneously (and without prior discussion) were inspired by the large microphones at our table and did a training for the FVPSA office as a radio talk show. I loved her humor as well as her commitment to ending violence for all women. I will miss her. Patti Bland will be missed! She taught others through humor and stories of her challenges that I will continue to share. I am thankful she shared her advocacy with Florida. Patti’s spirit will live in the people she loved, inspired, and taught…we were lucky to have her in our lives. Patti was a bonafide gem of a human. I remember being at a training where she was presenting recently. She was wearing a dress with a slip that was falling lower and lower. I gently told her to nudge up her slip and she just giggled! Girls gotta help each other out! SHe had this amazing sense of incredible knowledge and childlike wonder at our world. Losing her is such a big loss, there are no words. Blessed beyond belief with the knowing of ye, Patti Bland. You hold a special place in my heart. I miss you already. What a combination of sadness, shock, and gratitude upon receiving this news! My “chronos” time with Patti Bland was very limited. However, the “kairos” time is limitless…I am so grateful for her life and her many contributions already named by other colleagues/friends. Just last week I shared her “Manifestations of Violence” piece with colleagues who work with adolescents in the Juvenile Justice system here in Alabama. Patti’s life will continue to bless those of us who laughed with her and learned from her and people whose lives we touch. My condolences go to her family, friends, and all who are missing Patti’s physical presence. I met Patti in Chicago at a DV conference (what else) and we became fast friends over many plates of Greek food which neither of us could get enough of- Patti was living in Alaska where Greek restaurants were hard to find. We were both writing policy for our respective Coalitions – hers on DV & Substance Abuse and mine on Mental Health and DV. We exchanged notes, articles and thoughts….and then Patti came to NJ and was kind enough to provide training to NJCBW program staff and I think all of us knew that we had been touched by an angel-because that was what it was like to be around Patti. I am thankful for her scholarship and her willingness to share her gifts with anyone in need. Rest in Peace my friend. You will be missed. I had the opportunity to work with Patti at the Alaska Network on Domestic Violence & Sexual Assault. Patti was an inspiration to me in more ways than I can list. Her warmth, her generosity, her willingness to help and provide guidance were just some of the qualities that stand out. Her deep faith, her commitment to helping others and her vast knowledge that she so willingly shared with others touched my life and the lives of so many people that have been fortunate enough to know her. Patti’s ability to see the humor in every situation was part of the light she shed. I am humbled to have been able to call Patti a friend and I am honored to have known her. Thank you, Patti for the example you set of how to be a human being. I knew Patti since 2001. She collaborated with us (Integrative Services Project) to change services here in Iowa for victims with substance abuse problems. Patti and I had long discussions on the philosophy of the work, past relationships, her love of Ireland and her family, and going shopping. I enjoyed staying with her for a few days last March in her condo. We watched a movie, The Butler, and talked about what we were doing during the historical events they depicted in the movie. She told me the story of how she got a TV. Her assistant and friend in Alaska asked her to get a TV so Patti wouldn’t be lonely after she passed away. Patti never really liked watching TV. So her and I ordered this movie. It was such fun. I enjoyed her friendship. She is one of the great mothers of the movement who had a profound effect on my life and work, Susan Schechter, Ellen Pence, and Patti Bland…. Miss you Patti! I, too, have known Patti since 2001 through the ISP team. She used to tease “You guys bribe me to come to Iowa with trips to Wal Mart and feeding me chicken tortilla soup!” And we did bring her to Iowa, MANY times, drug her to every corner of this state and back again, she never complained. I don’t know if I can say much more than what has already been said, she truly was a gift to me personally and to all of us in this work. Her patience, wisdom and guidance mentored us through the beginning years of our project and there is no doubt in my mind that we would not have gotten so far so fast without her. Sometimes I would go years between seeing her and she never forgot me, we always picked up where we left off. I will never forget her earnest way of talking, the tilt of her head, her deep and joyous laugh, her fantastic hugs. The way she very deliberately and slowly produced her VERY FIRST drivers license, laughing and saying “They actually announced it on the radio!” Then telling me she hadn’t driven since she took the drivers test. Her grace and humor even in the most difficult situations, I swear, that woman could get a lesson across to ANYONE! Once, in my early days of mothering, I was listening to her present and feeling in awe of all the work she had done, then feeling that “working mommy guilt” of not being enough at the office or at home. I didn’t even tell her I was feeling this, she just sensed it and looked me straight in the eye and said “Never feel guilty about focusing on your personal life. You are doing what you are supposed to be doing.” She certainly had a knack at saying the right thing at the right time. At a recent meeting, she described me as “A woman who always knows where she is going, she never gets lost!” Well, Patti, I think we will all feel a little lost without your love and guidance. But we promise to continue the work. My heart is filled with gratitude to have known you. Much love and light to all of us who knew and loved her, especially her family. I worked with Patti in Seattle in 1995-7, both leading support groups at a women’s shelter and through (what was then) Medalia – a network of primary care clinics in which our team was educating PCPs about DV and how to screen for and document it. I was fresh out of college and learning about the field. 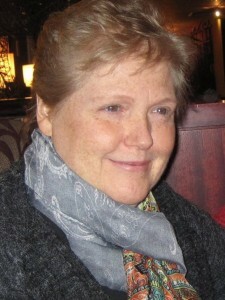 Patti was a mentor in the world of DV, of advocacy, of connecting genuinely to others through this work. She was THE guru in town, and I was so fortunate to have her as my teacher. In addition to being so passionate about the work, she had such a silly side. One time when we were at a clinic, she was speaking in the center of a large circle of staff, training. Somehow, she stepped out of one of her shoes, and then because of her long skirt, couldn’t find it right away. I don’t remember how she recovered it, but it was such a funny balance (literally) of trying to remain professional among these already-skeptical clinic staff and being down one shoe. I also remember her having our team over to her apartment on St. Paddy’s Day for cornbeef hash. She played a tape of an Irish comic, whom the rest of us could barely understand through his accent, but Patti just laughed and laughed her big laugh. She also did Tarot readings at the WSCADV conference, after hours, and the astrological charts for all of us in the car on the long ride home. The world will not be the same without Patti Bland. But her work and her teachings have moved this world forward, and I will always be grateful. I knew Patti only for a short time. She was so smart, enlightened and down to earth. Patti would share with me some of the funniest stories. The best I’ve ever heard!!! What I found so incredible is Patti had the ability to sneak a “message” that would benefit me in her stories. She was so smart with her storytelling that I wouldn’t even realize until much later she crafted story for me. I eventually caught on but never said a word! She was a great supervisor! An angel has gone home. Patti,..I will always remember you and smile. I want to say that Patti will always be an inspiration to me. Her effervescent personality and her contagious enthusiasm for the work we do recharged my batteries when the going was tough. I will remember her always, especially as I use the amazing resources she gave me for making a difference in the lives of others. I miss you Patti, you will always be in my heart. So many memories of Patti the story-teller, some of the memories from events I witnessed, so many others from re-told stories. And always Patti moving from dead serious to hilarious in the blink of an eye. She was so idiosyncratic, so utterly herself, so accepting of others’ foibles, so genuine in her love of life, that she drew everyone to her. Patti created waves in the room, any room. But most of all I remember her love of family and her passion for her work. She was–proudly–Irish through and through. Patti was a a wonderful trainer, leader and just a great person to spend time with. I was so shocked when I heard she had died; I hope she didn’t suffer long. My memories of Patti are of a loving hilarious person with a big vision for justice who shared her knowledge in ways that everyone could understand and enjoy. Thank you Patti for being in my life.